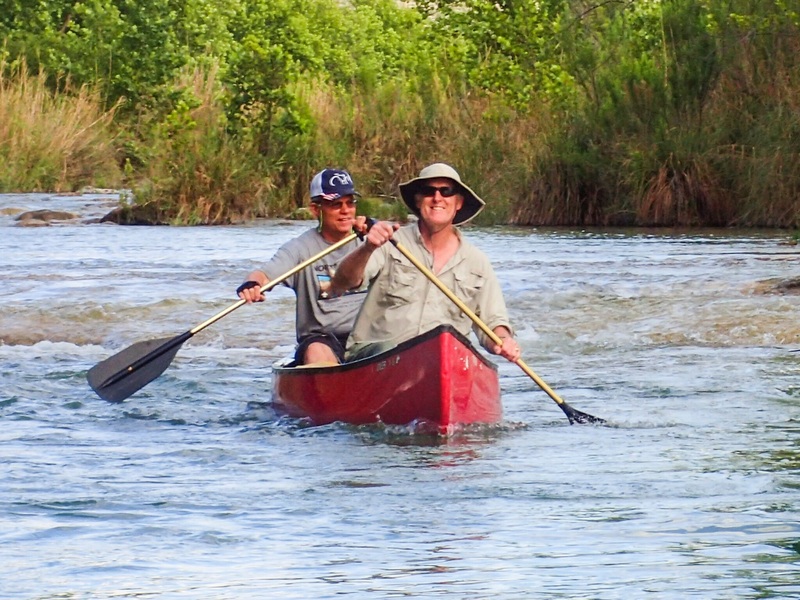 As a canoeist, the Devils River has been on my list of must-do paddling adventures in Texas. However, paddling on this river requires a bit of research and connecting with the right outfitter. The river flows through private ranches whose owners do not allow camping on the long riparian stretches of their big backyards. This also means that there are few public take-out sites along the way. So, careful planning is essential. 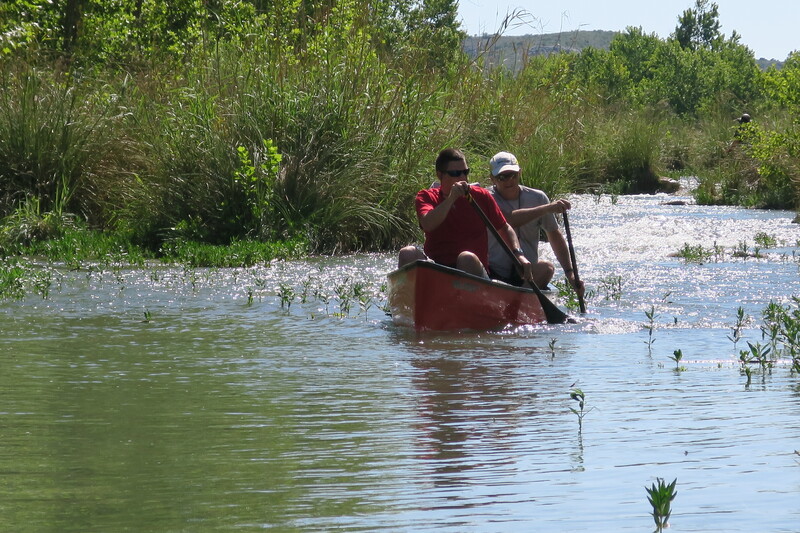 The Texas Parks and Wildlife Department cautions that a trip on the Devils River is suitable only for experienced paddlers who are prepared to spend more than a day on the river. There are a number of Class I and Class II rapids, deep pools, strong headwinds, rocky shallows, and dense canebrakes along the route. Knowing how to pick your line and when to apply a good draw stroke are vital to successfully navigating the rocky rapids. 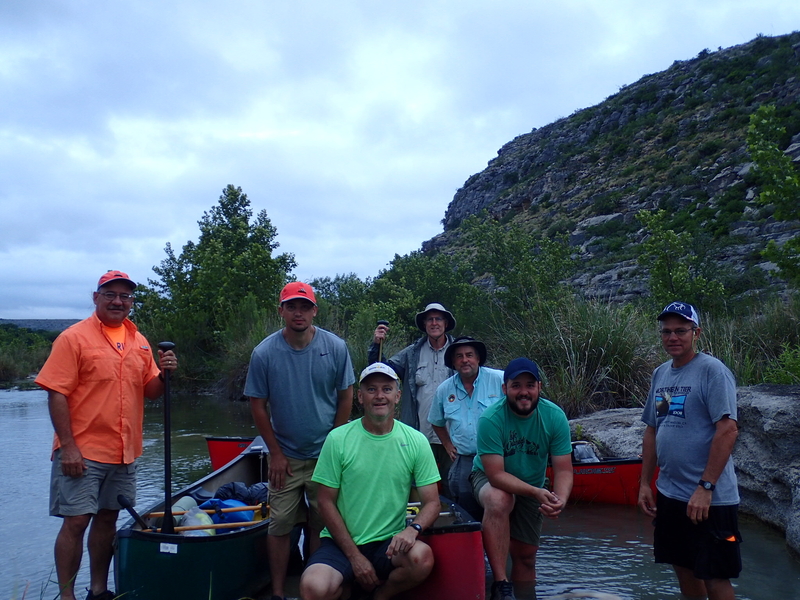 My dream of paddling the Devils River became a reality through the generosity of some dear friends. The best part about it was the opportunity to share this adventure with my son Jonathan and a few of our paddling friends. 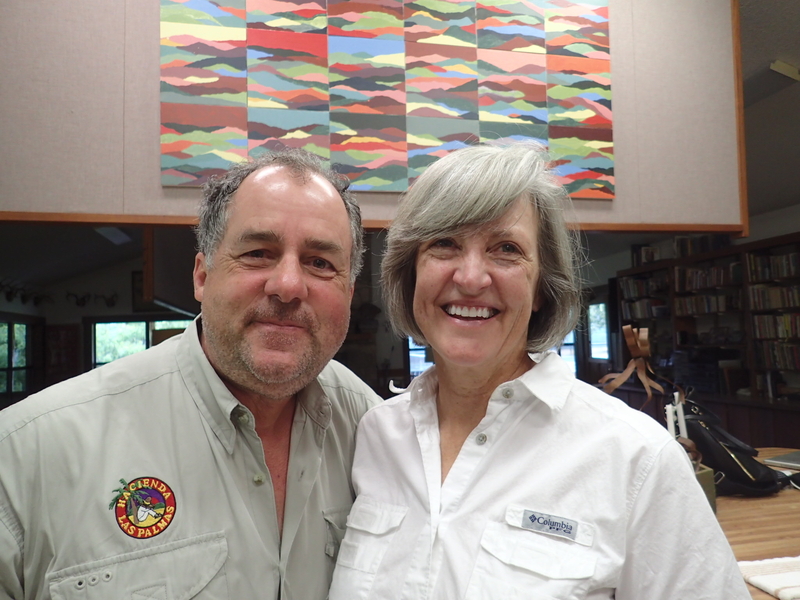 Our team traveled to Rocker U Ranch where Dougal and Cathy Cameron welcomed us with the warmest of Texas hospitality. 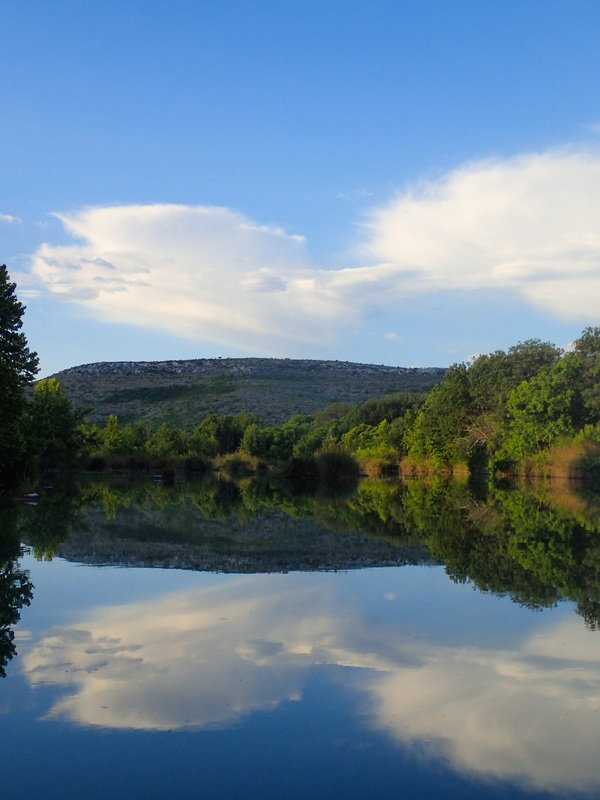 Their beautiful ranch sits along a three-mile stretch of the Devils River below Baker’s Crossing. 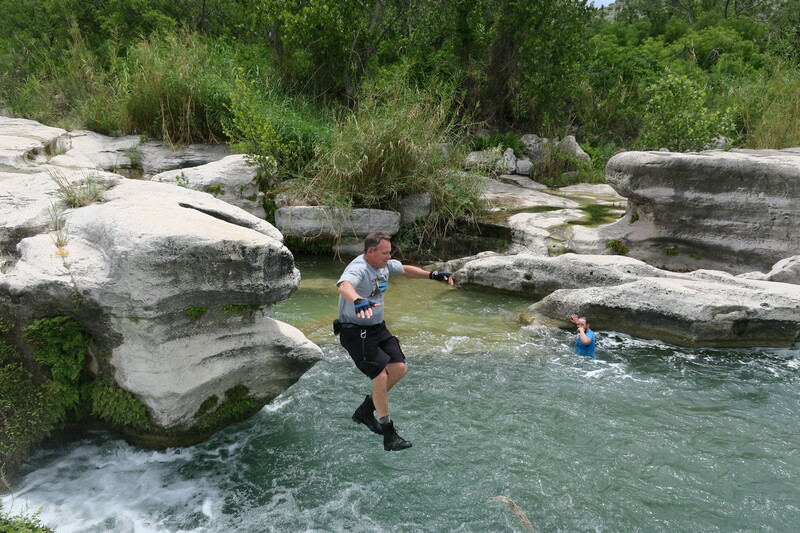 Dougal, a real estate professional, is no stranger to the Devils River. Although not an outfitter by trade, he understands the pulse of this waterway, how to navigate through the confusing canebrakes, the best islands for camping (since you are not allowed to camp along the banks), the warning signs that indicate the potential for a flash flood, and the fascinating history of the river. He is an excellent paddler and proved to be the perfect guide. Dougal led us from his ranch all the way to the magnificent Dolan Falls, a 10-foot Class IV waterfall about 16.4 miles downstream from Baker’s Crossing. Dolan Falls is the largest continuously flowing waterfall in Texas. At the bottom of the falls is a deep blue swimming hole — a perfect place for jumping in from the smooth overhead crag. Our guys could not resist the temptation to dive in. 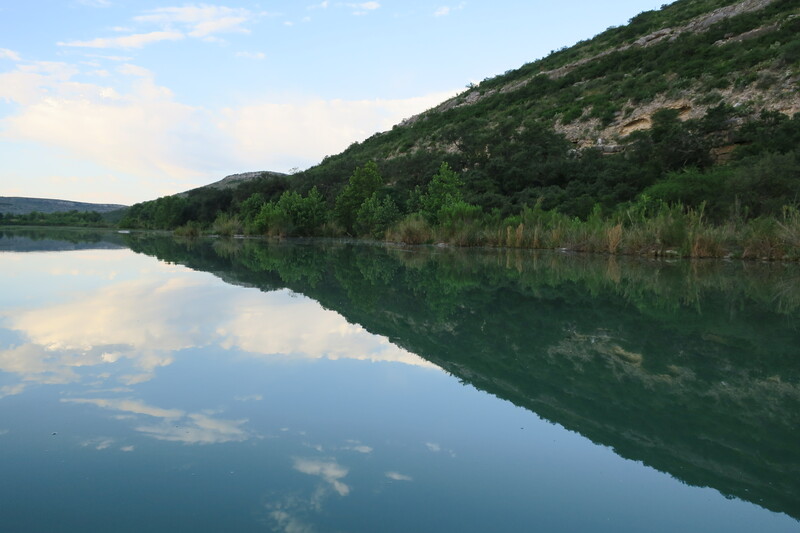 The Devils River is regarded as the most pristine river in Texas. And indeed it is. We saw absolutely not one scrap of trash along the way. The spring-fed water was a consistent turquoise and blue, and clear all the way to the bottom. In fact, we filled our water bottles from the river and drank it unfiltered. Not many places left where you can do that! The banks of the river are lined with elm, sycamore, live oak, pecan, mountain laurel, and a variety of other trees and shrubs. The hills on either side are pockmarked with natural caves that beg to be explored. Dougal has found numerous arrowheads along the river banks on his property, an indication that native Americans once lived along this river. We did have an opportunity to fish along the way and caught and released several large and smallmouth bass. 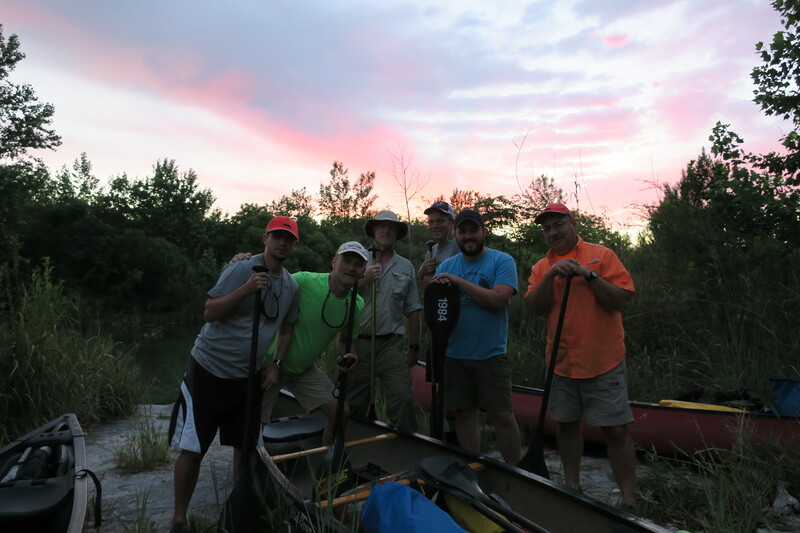 We spent the night on Game Warden Rock in the middle of the river. That was a cool experience. We slept under the stars and enjoyed an amazing display of thunder and lightning off in the distance. Jonathan summed it up by saying that while we may not have slept like a rock it was really cool sleeping on a rock. From Dolan Falls, we did something that I doubt few, if any, other paddlers have done. We paddled up river back to Dougal’s place. That meant, of course, portaging the many rapids and rocky shallows on the way back. No problem! This made for a great adventure and we actually made good time. We arrived back at Rocker U Ranch in time for a late lunch followed by a sumptuous evening meal. And we arrived with deep gratitude for having shared an adventure of a lifetime. 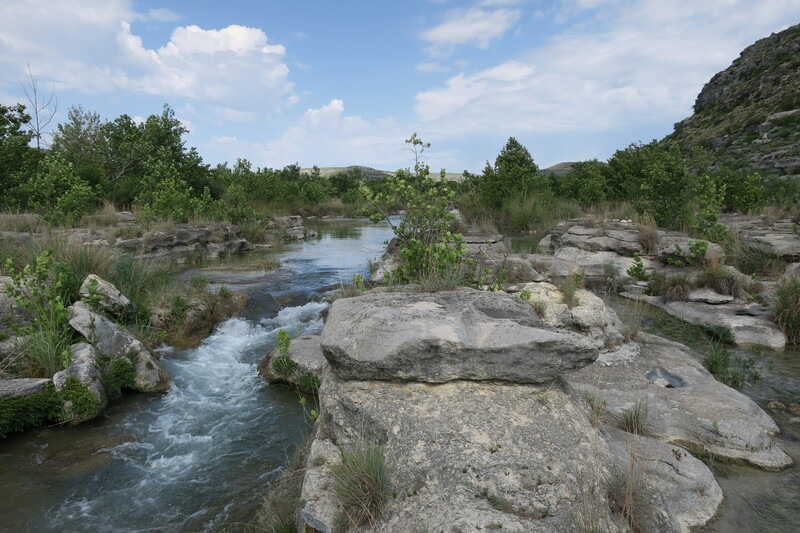 The Devils River is a Texas treasure because of the efforts of the Nature Conservancy and local ranchers to protect the surrounding watershed, including nearly 150,000 acres in the Devils River basin. Paddlers must also do their part to protect this river. 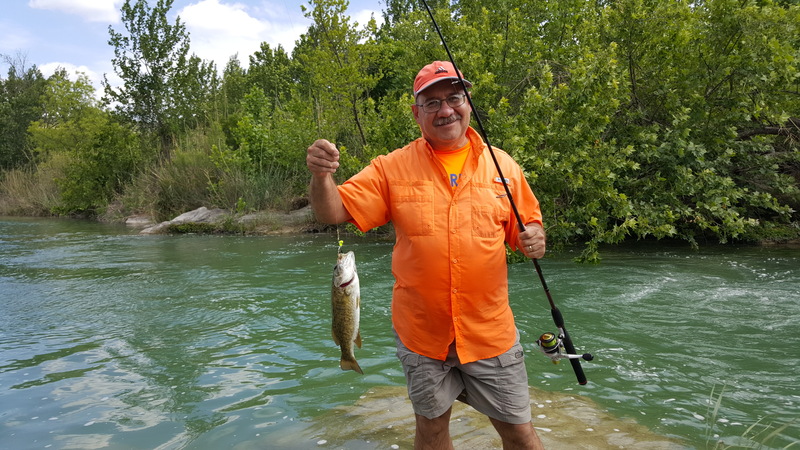 To learn more about preparing for a Devils River trip, visit the Texas Parks and Wildlife Department’s webpage. 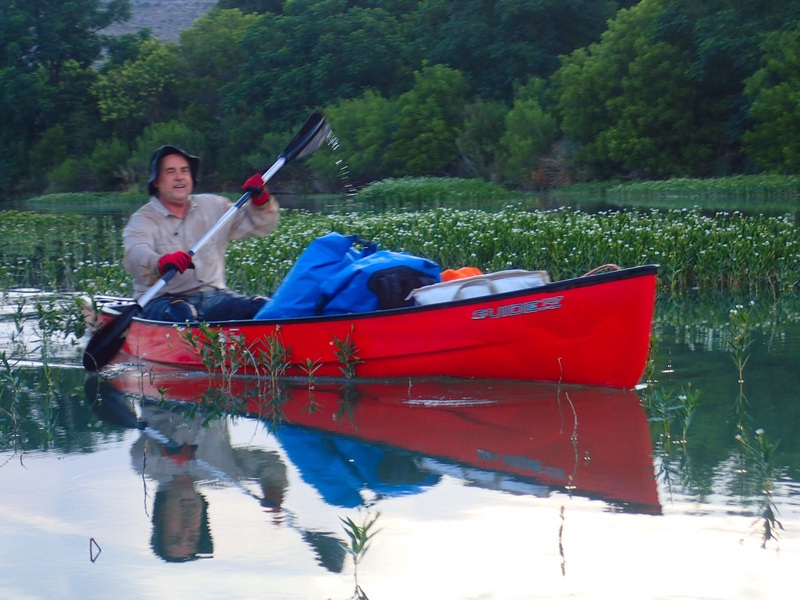 If you have an opportunity to visit the Devils River, I think you’ll agree that it is indeed a paddlers paradise. 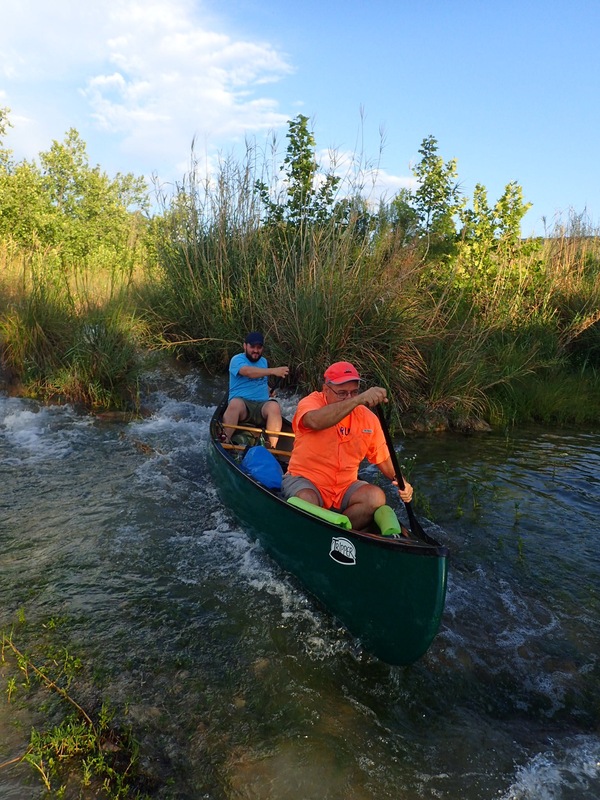 This entry was posted in Texas Rivers and tagged Adventure, Canoeing, Devils River, Dolan Falls. Bookmark the permalink. What a cool trip you guys had. It seemed it was very exciting and a great adventure. Glad you guys were able to enjoy that beautiful part of TX. Thanks, Selim. It was a fun adventure. So glad my son was able to join me. Absolutely was a blast — a truly fabulous adventure. Wow! Omar, the Devils River looks like a great river to kayak !! Thank you for sharing the cool pics you took of your adventure, I envy you ! Lol. I’m gonna talk to Selim see if he wants to make a trip to the Devils River one of these weekends. keep exploring the great state of Texas !! It was a cool adventure, Luis. I think that Selim would enjoy sharing an adventure like this with you. Definitely one of the most beautiful places in Texas. You will love it.